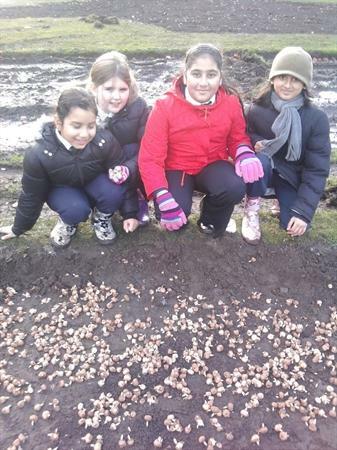 The Eco Committee helped to plant a new garden area in Longford Park with spring bulbs. 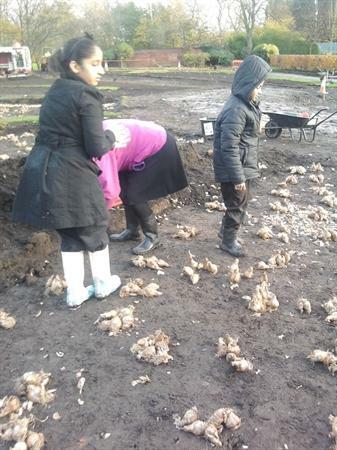 In March the garden should look beautiful with the bulbs planted in the shape of a giant sun. 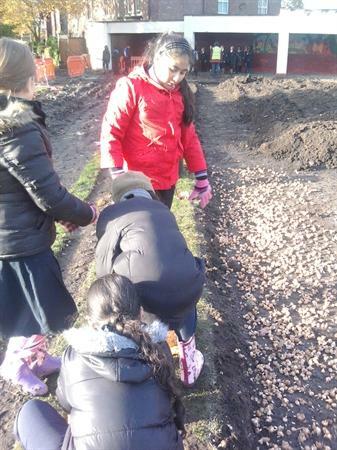 The photos show the children working hard in the mud.